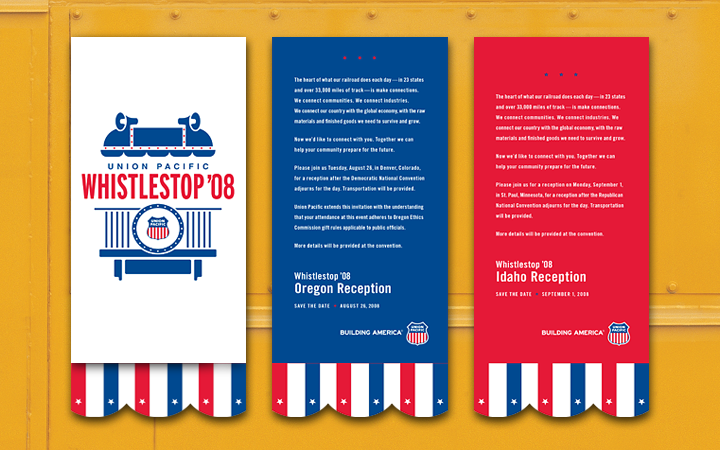 An event brand for Union Pacific at the 2008 Democratic and Republican national conventions. A modern blast from the past. At one time the railroad played a critical role in presidential election campaigns. The branding for this event helped recall that special time period. The national conventions are always a mix of speeches, interviews and parties. 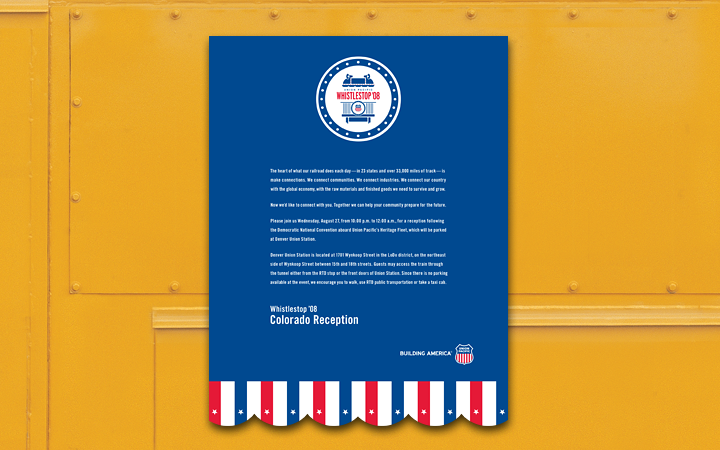 Union Pacific needed an event brand that would help them stand out from all the other companies who would be hosting parties during the conventions. The inspiration came from the golden age of railroads and the presidency, when the railroad played a vital role in political campaigns. We wanted delegates to be immediately reminded that Union Pacific is still vital to today’s economy. Using a modern interpretation of a passenger election train, we created a celebratory mark that incorporated political elements. The support materials: invitations, bus wrap, email reminders and buttons completed the project.